Here is another creation for the June Flying Unicorn Kit. It features the Starlight Collection from 13 Arts. 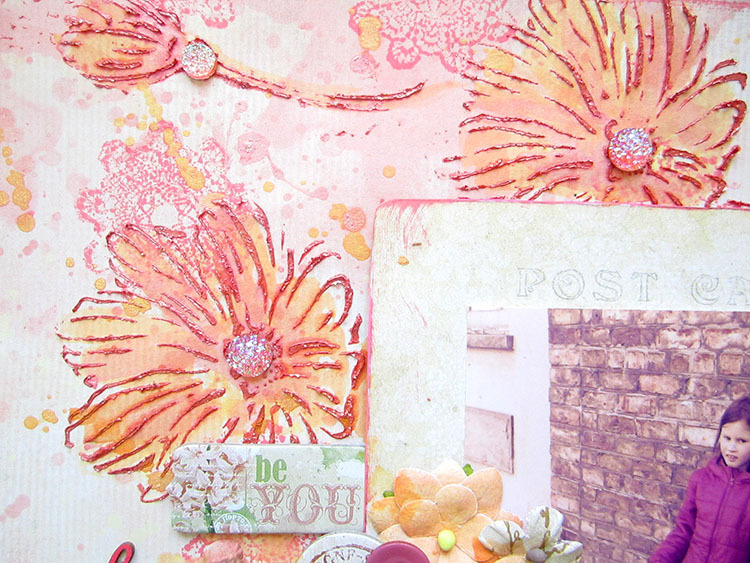 I really love the colours in this collection, particularly this paper with corals and orange which I had to enhance with sprays and mists. 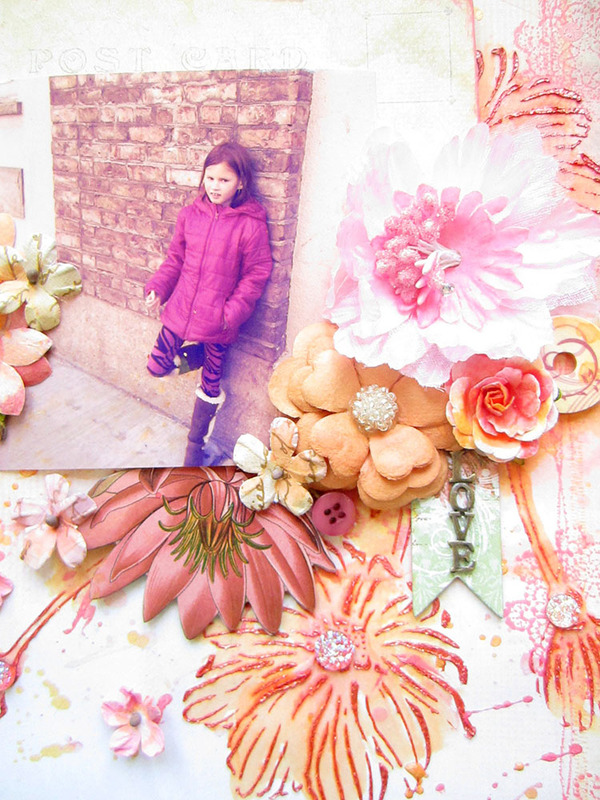 I got inspired but the chipboard flowers from BoBunny that came in the kit and I decided to mimic them with a Prima stencil from Jamie Dougherty. This stencil is not part of the kit. The anemone flower stencil from Jamie Dougherty was masked with Shimmerz brick wall Texturez. This stencil and paste are not in the kit. The doily stamp in the background comes in the kit and its from BoBunny. I thought it added a nice touch to the background. 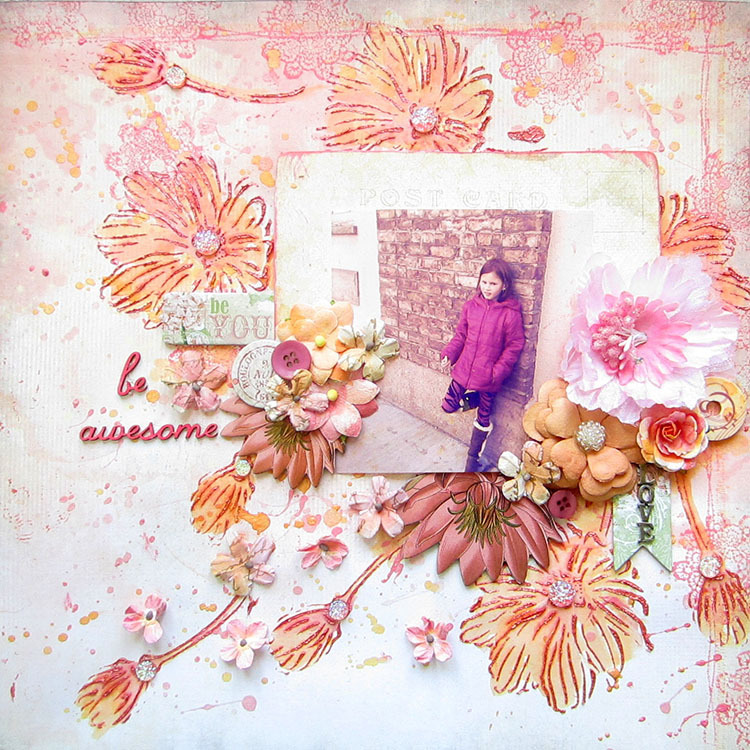 Lovely layout, love the colours! 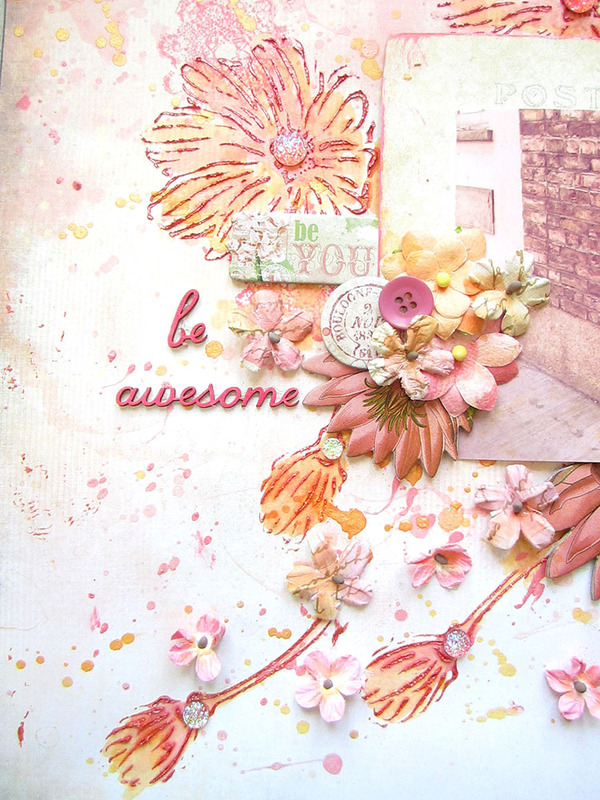 So beautiful – awesome paper and flowers!